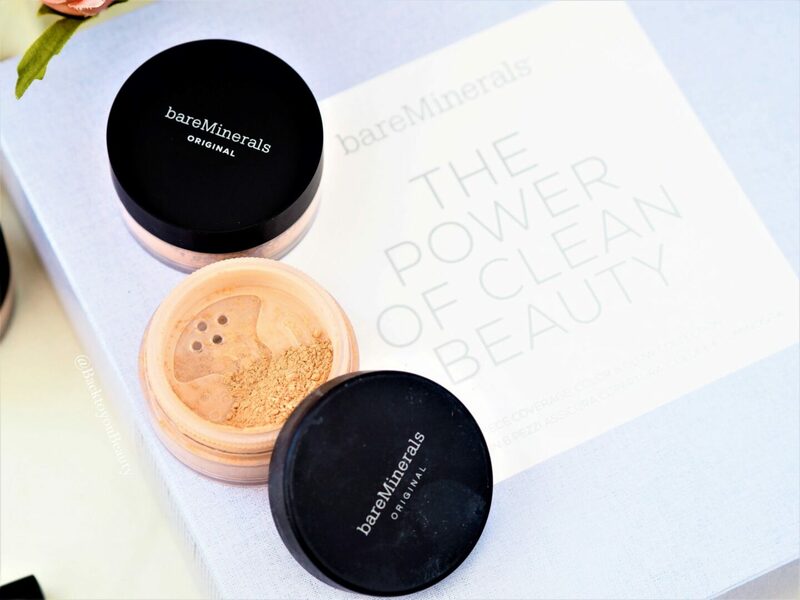 Bareminerals, famous the world over for their use of Clean Beauty products, have put together a wonderful collection. 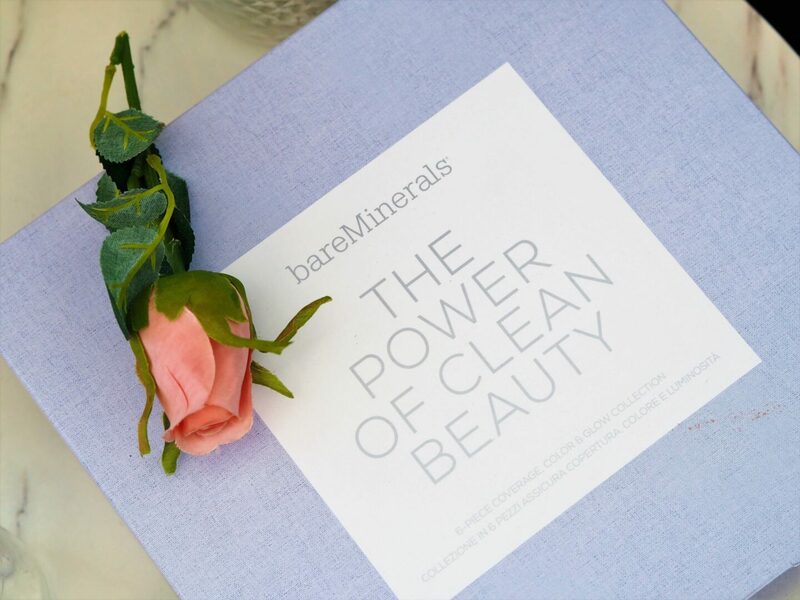 The Power of Clean Beauty encompasses all that is needed to not only make you look your best, but also make you skin feel its best. Included in this boxed set collection is a wonderful array of skin loving products that have been proven to be beneficial on all skin types and ages. Plus this must have collection includes not one but TWO pots of their best loved, clean mineral foundation! Now that’s fantastic! 2 x Original Foundation SPF 15 8g – The value of this collection is outstanding! I actually cannot believe they are including two of these in this set, so whether you want to share with a friend or stock up on your favourite foundation, to me, this is a must have. 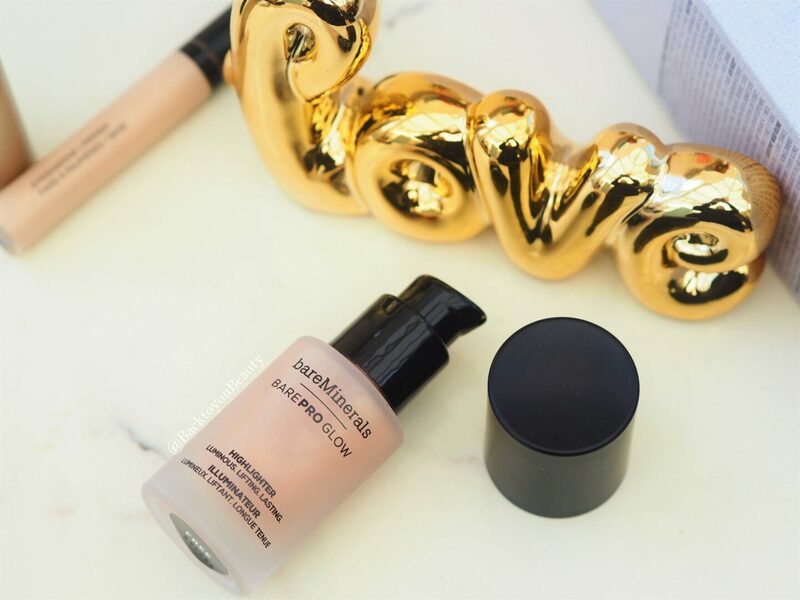 This award winning, water resistant foundation feels light as air on the skin. It contains only the purist, most natural ingredient’s, has a silky soft texture and feels more like a cream as you buff it in. Today I am wearing Medium Beige in this and it is absolutely the perfect shade choice for me. This Champagne Beige Highlighter is sure to become your new best friend this Spring. A wonderfully versatile liquid product that can take your skin to another level. Infused with Green Tea Extract, Bamboo Extract and light reflecting Pearls, this liquid highlighter can be mixed in with your moisturiser or primer for a soft sheer glow, or you can use it under or over foundation to complete you make up and highlight the high points of the face. The shade is a wonderful soft, soft, gold that looks beautiful on medium and darker skin tones to really add a pop of highlight, BUT if you mix it in with your liquid foundation, or primer, it warms up a fair skin tone beautifully. I find an eyeshadow primer really important in my make up routine. I use one to not only prolong the wear time of my eyeshadow, but also to smooth out my eyelids and give my lids a more neutral shade, taking away any redness or darkness, which in turn means my eyeshadow colours will lay down true. 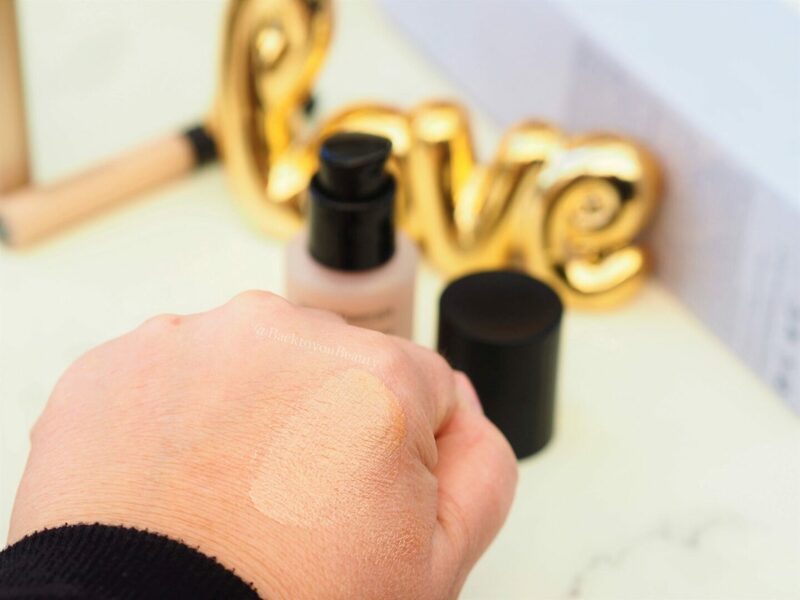 This primer is so pretty that you can, in-fact, wear it alone or of course under you favourite eyeshadows. 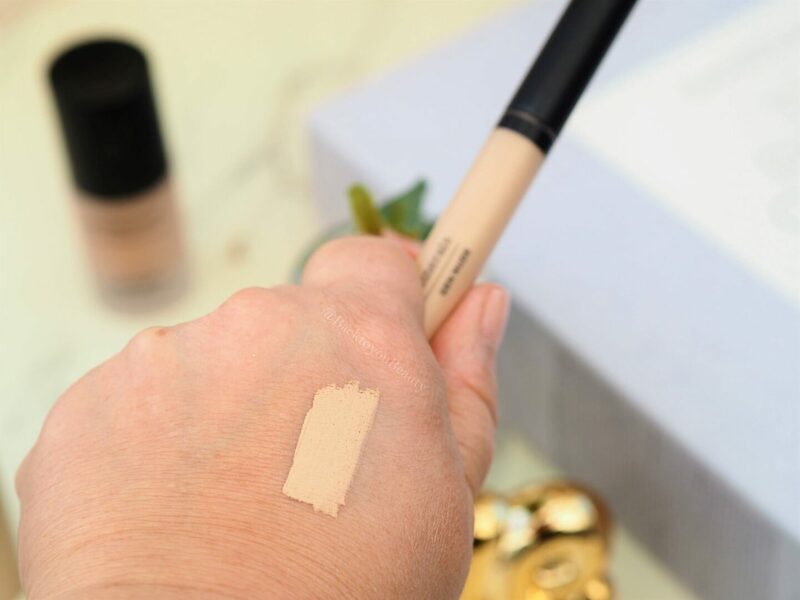 It comes in a tube similar to their BareSkin serum concealer, with a doe foot wand making precision application very easy. I am assuming you will receive your perfect shade that compliments your choice of Original foundation. A huge favourite of mine for voluminous lashes is this. 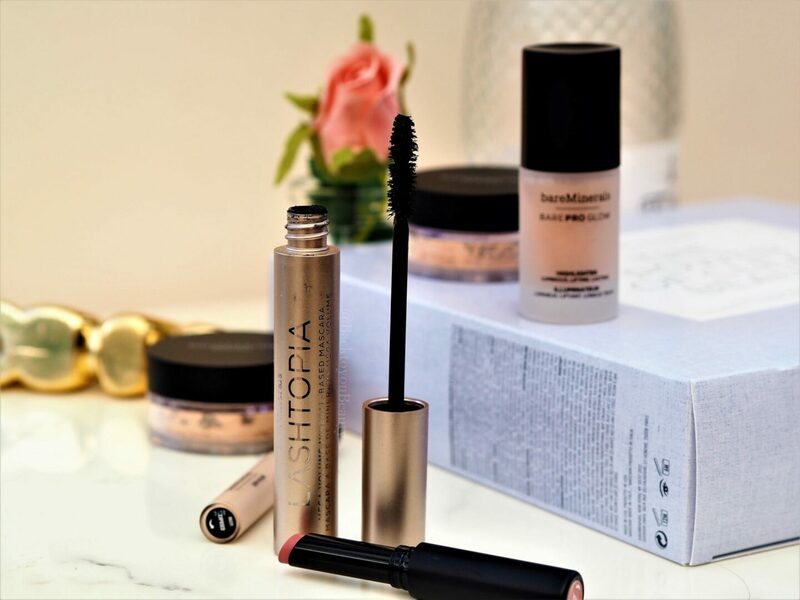 The formula glides on silky and shiny leaving my fair lashes looking incredibly full, and gives them that lovely spaced out look making my eyes appear more awake than usual. The brush on this mascara has an almost fluffy look to it with bristles of varying lengths meaning that it coats every, single, lash. The mascara has an almost whipped consistency which also clings to each lash, whilst coating it in the most beautiful, silky black shade. Containing Glycerine and Castor oil, this really does nourish those lashes keeping them soft and healthy and less likely to break. A great mascara for a full, lifted look. This soft, muted rose toned lipstick offers a very comfortable, full coverage application that wears for up to 8 hours without smudging. Infused with Botanical Oils this really nourishes and hydrates the lips, does not feel cakey or heavy on the lips and offers a beautiful full flush of colour. I really love it and think it is the perfect shade for Spring. 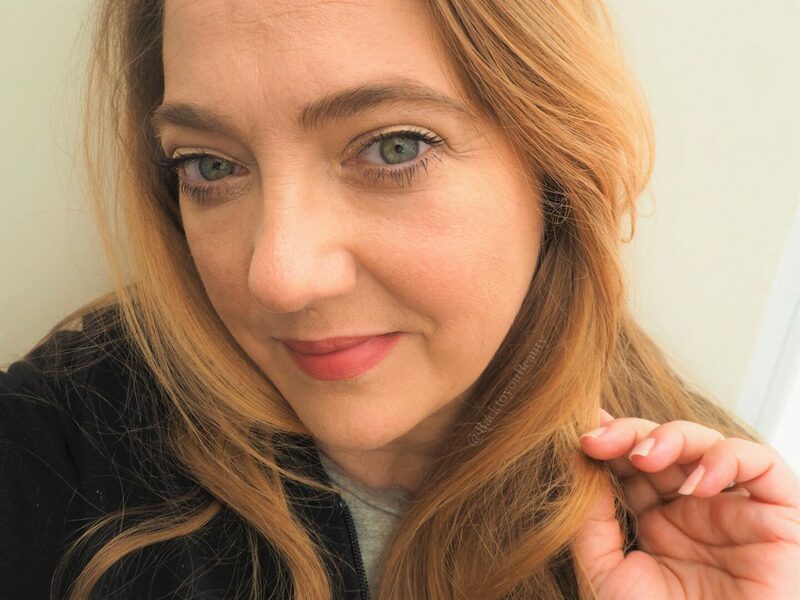 My thoughts on this collection – As you can see from my photo, on me this is a real natural, day to day look (I am also wearing Bareminerals exuberance blush) I am still amazed at the amount of product in this collection, especially those two full sized Original Foundations. 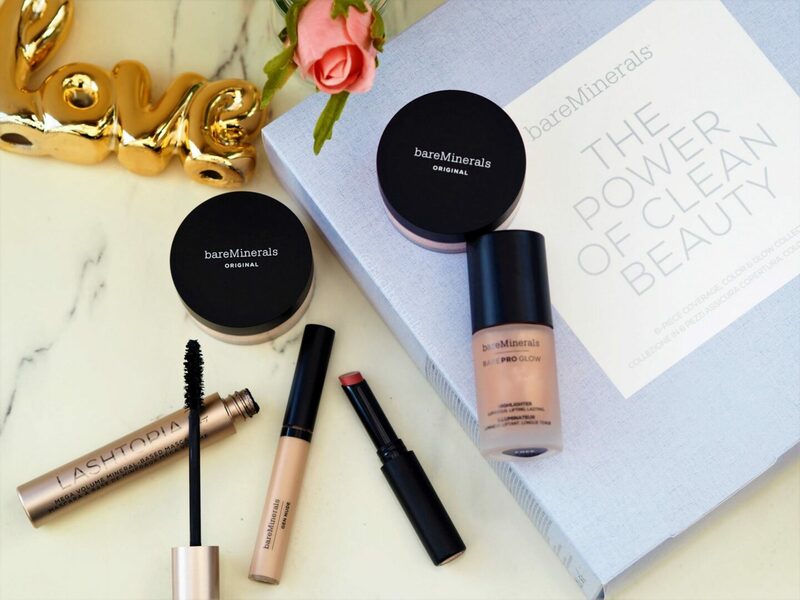 The collection is a perfect top up for regular users of Bareminerals but would also make a wonderful gift for newbies. The collection comes gift boxed and due to the clean nature of the ingredients, would be suitable for all skin types, tones and ages. A perfect Spring look in a box. This collection is available only on QVCUK as a Todays Special Value launching on Saturday 30th March. The collection is available for one day only whilst stocks last and you can purchase it HERE at a price of £39.96 with a huge saving of over £97.00! 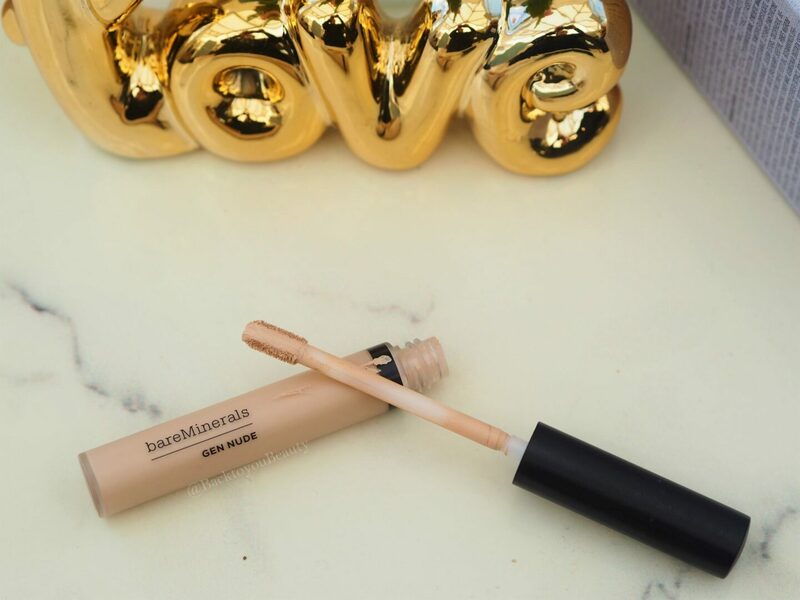 Are you a Bareminerals fan? I would love to hear from you so do leave me a comment below. "National Fragrance Week – Shay & Blue White Peaches"
"Zoella x ColourPop Brunch Date"
I’m actually checking out their foundations again – the pro one and the bareSkin, I’d forgotten about bareminerals until I spotted this post. Thank you! I know! 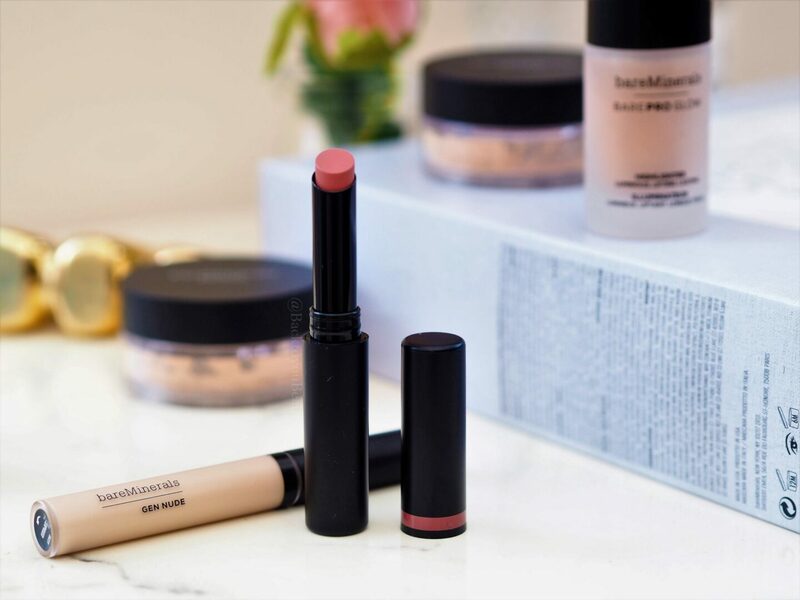 such a bargain for Bareminerals lovers!